Branson is a great place to spend a nice summer vacation with your family and friends at the parks and zoos where you get to encounter awesome animals. Many of the fascinating animal attractions in Branson showcase some of the world’s most beautiful, exotic, and intriguing sea and land creatures. These animal attractions in Branson will give you and the whole family a unique experience with some of the amazing animals that you can see up close and personal at the Promised Land Zoo, National Tiger Sanctuary, and the Branson’s Wild World. The Promised Land Zoo offers visitors of all ages a unique animal kingdom adventure. Inside the zoo, you will see hundreds of animals that come from around the world. Some of these animals include kangaroo, antelope, deer, tropical birds, lemurs, large reptiles and many more. The zoo offers personal tour to visitors who want to get up close and personal with some of the amazing and exotic animals. On your tour, you can have the chance to bottle feed a monkey and many other animals, or hear stories about the zoo inhabitants from your personal guide. Don’t miss to see amusing creatures such as ponies and goats and be delighted with the colorful parrots that will astonish you with their impressive and amusing language. The zoo is truly a wonderland that in just a minute of driving you’re in the middle of nowhere of the wooded hills of the Ozarks, the next minute you will see herd of horses, zebras, and buffalos while some speedy ostriches chasing your car. As you drive along, the animals will come near your window and may grab the food out from your hands. National Tiger Sanctuary is another wonderful zoo to visit in Branson where you can see a variety of big cats such as the lions, white tigers, bears, mountain lions, panthers, Bengal tigers, and many more. Try to experience getting as close to the cage in just three feet away to the scary creatures. This protective environment provides visitors a safe encounter with the big cats. The sanctuary offers a guided tour three times daily. Branson’s Wild World is another great place to visit this summer season as you will get to see some of the world’s most fascinating and intriguing sea and land animals. 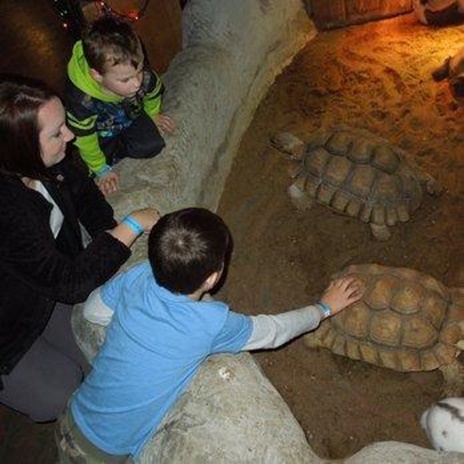 This huge facility is a combination of a zoo and aquarium in one location where you can experience a wild summer fun through interaction with the variety of sea and land creatures. The facility also features Creepy Crawlers where you can see a variety of spiders, bugs, and other insects. You can also get to see the meat-eating carnivorous plant, deadly venomous snakes and copperheads as well as the exotic ones like Black Mambas and King Cobras. If you want to spend a wonderful summer vacation where you will enjoy a day of awesome animal encounters, visit some of the most popular animal attractions in Branson.